Many people think that Android devices do not need an antivirus solution at all, but countless kinds of malware exist for the mobile OS, some on official stores such as Google Play. In other words, antivirus software could actually come in very handy. So, which one should you choose? Of course, we recommend ours — Kaspersky Internet Security for Android. It’s not just an antivirus solution, it’s an entire mobile defense complex that includes an antitheft module, the ability to blacklist phone numbers, and many other features. 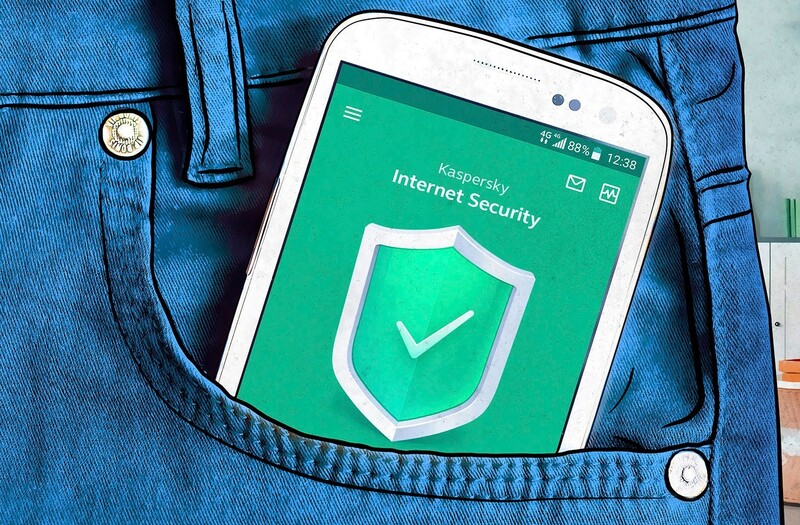 Kaspersky Internet Security for Android also comes in two flavors: free and paid. What is the difference between them, and which version do you need? Basically, the free version of Kaspersky Internet Security consists of the three parts listed above. The first is an antivirus engine — the same as in the paid version. The second is the anti-theft module, which, should the phone be lost or stolen, lets the owner send a command to block the device and divulge its GPS coordinates, as well as trigger an audible alarm (what if the phone simply fell behind the couch?) or take a secret picture with the front camera. Kaspersky Internet Security for Android can also check whether the SIM card has been replaced, and if so, send you information on the new SIM card. The third is the ability to blacklist phone numbers from which you don’t want to receive calls or messages. You simply enter the numbers manually and the program remembers them. It will start blocking calls and texts that come from those numbers immediately. The main difference between the free and paid versions is automatic, real-time scanning. In the free version, the malware scanner has to be activated manually. The application will just remind you to do it from time to time. The paid version activates scanning automatically. Whenever you download a file, it’s immediately scanned, so you don’t have to worry. On top of that, the paid version of Kaspersky Internet Security for Android has other useful features. For example, App Lock allows the user to protect access to certain apps with a PIN. This is useful for when you give your tablet to kids to play, for example, and don’t want them to accidentally delete your contacts or send a nonsensical message to your boss. The paid version also protects the device from phishing attacks, for example, by checking the authenticity of texts from your bank. Scammers love others’ bank accounts, so the value of this function should not be underestimated. In addition, the paid version includes a module that protects you from dangerous websites by analyzing all of the pages you try to go to, and if it determines a site is harmful, the module won’t allow you to load it. Finally, the paid version permits you to hide some of your important contacts; if someone obtains access to your phone, they won’t be able to see them in your contact and call lists. On the whole, the paid version of Kaspersky Internet Security for Android has a number of additional functions compared with the free version. Upgrading your free version to the paid version is easy and can be done from within the app. Subscriptions are yearly or monthly. If you don’t extend your subscription for the paid version, protection will continue in free mode. If you’re okay with manually scanning each new file you download, then you certainly can save a few bucks and use the free version, which is just as effective at identifying malware. The only inconvenience is that you have to remember to run scans. If you’d like to simply use your Android devices without having to worry about potential threats, then you should consider the paid version; it will automatically scan the device for malware and is capable of protecting you from phishing sites and messages.